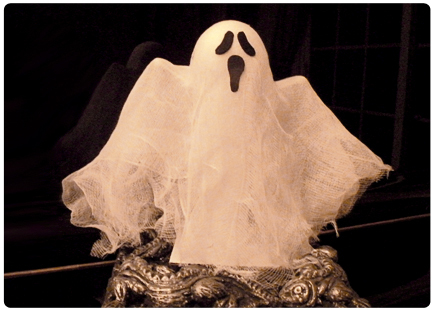 This ghost display is sure to chill your home as either a table centerpiece or a decorative accent. I used household items to create this Halloween craft. 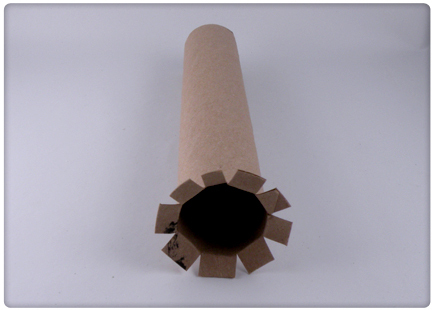 Make ¼ inch deep cuts evenly spaced around each end of the paper towel roll and bend the tabs out. Cut a 4 inch square of cardboard for the base. 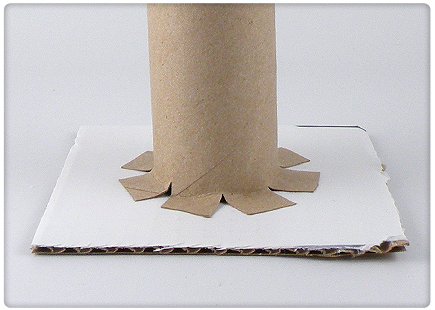 Apply craft glue to the tabs on one end of the paper towel roll and attach to the center of the base. 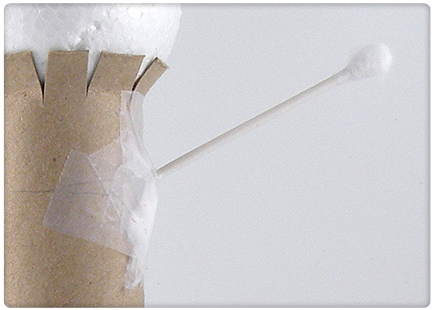 Apply craft glue to the tabs on the other end and of the paper towel roll and attach the Styrofoam ball. 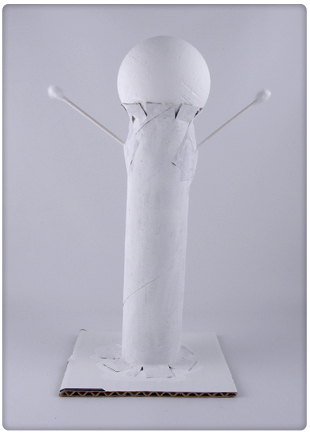 To make the arms, bend the tip of one end of the Q-tips at an angle and tape them to each side of the paper towel roll about an inch below the Styrofoam ball. Apply a generous amount of tape to make sure the arms are secure and sturdy. Paint the entire frame white with acrylic craft paint and let dry. Cut pieces of cheese cloth and layer them over the ghost frame. After adding each layer, smooth the cheese cloth over the head and push it down where the Q-tip meets the paper towel roll to make the shoulders. You should need about 3 layers to cover the base and make the ghost look wispy.NOTE: Make the edges of the cheese cloth uneven and not perfectly layered to give it a more ghostly look. Draw a ghost face on the black sheet foam and cut out. 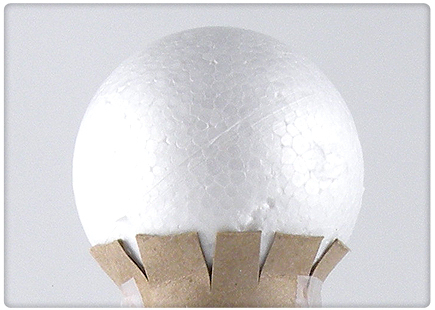 Apply craft glue to the wrong side of the face and attach to the cheese cloth covered Styrofoam ball. Let dry. Optional: Display the ghost on an ornate picture frame or mirror to give it a more dramatic display.